World Poetry Proudly Presents Paul Hartal, Artist and Poet from Canada! Ariadne’s Notes: We would like to welcome Paul to this site. He is included in the upcoming World Poetry Peace E-Anthology, our free gift to the world. 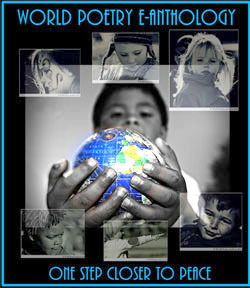 It will be on site at www.worldpoetry.ca for one year as a PDF file. The launch for the book will be on April 4, 7-9 pm ,2013 at the World Poetry Canada International Peace Festival, held at the University of British Columbia, BC, Canada. Poets will be reading their poem and one poem from a contributor who is not able to attend in person. Selected poems will be on display from April 4-30th at the UBC Library. There will be dance by Jasmine, Music by Rio Samaya Band and more! All free. A man of many Odysseys, Paul Hartal is a Canadian poet, author and artist born in Szeged, Hungary. His critically acclaimed books include Postmodern Light (poetry, 2006), Love Poems (2004), The Kidnapping of the Painter Miró (novel, 1997, 2001), The Brush and the Compass (1988), Painted Melodies (1983) and A History of Architecture (1972). In 1975 he published in Montreal his first Manifesto on Lyrical Conceptualism. Evolving as Lyco Art, this novel idea is a new element on the periodic table of aesthetics, which intertwines the logic of passion with the passion of logic. In 1980 the Lyrical Conceptualist Society hosted the First International Poetry Exhibition in Montreal. A few years later Paul Hartal formed the Centre for Art, Science and Technology, which computer scientist Clifford Pickover describes in Mazes for the Mind as a network that “facilitates the exchange of ideas between various domains of human knowledge”. In 1978 the artist exhibited his paintings at the Musée du Luxembourg and the Raymond Duncan Gallery in France and his canvas Flowers for Cézanne won the Prix de Paris. He also presented his oeuvre in museums and galleries in New York, Montreal, Budapest, as well as many other places. Representing Canada, his work was featured at the cultural events of the 1988 Seoul Olympics. An active athlete and fencer since his teenage years, Paul Hartal graduated in 1954 from Radnóti high school in his hometown. As a student at the University of Medicine in Szeged, he participated in the 1956 Hungarian Revolution. A few months later he burnt all his poems and papers and escaped to freedom. An explorer of global habitats and cultures, he has traveled through Europe, North-America, Argentina, Australia, China, Japan and Korea. 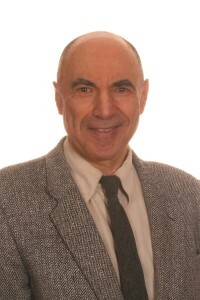 His research interests focus on the connectivity of the arts and the sciences. He has been involved in interdisciplinary symmetry studies, and in 1994 NASA invited him to participate in visionary space exploration projects. A recent project initiated in 2012 under the aegis of Dalhousie University of Halifax, involves explorations in inclusive knowledge, particularly intersections between poetry, painting and mathematics. This entry was posted in Ariadne's Notes, Featured Poets, General, World Poetry Canada International Peace festival, World Poetry Special Events and tagged International Peace Award Ariadne Sawyer, Paul Hartal on February 26, 2013 by Ariadne.